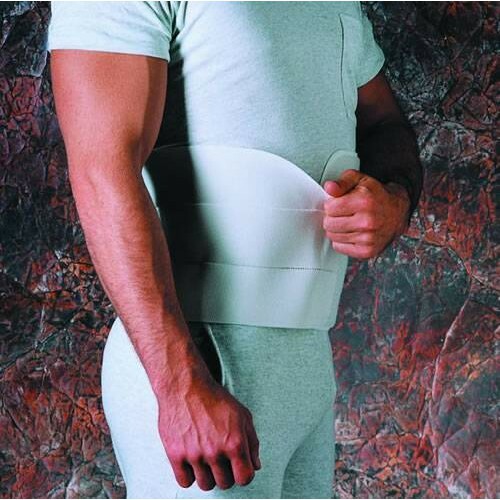 Segmented plush-backed elastic and Uni-Foam panel with Velcro® closure. 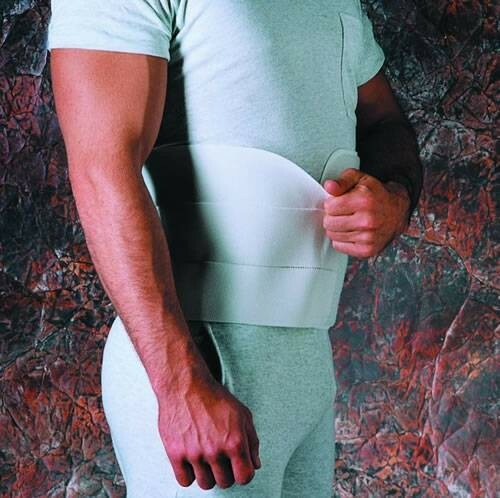 3" wide panels of elastic segmented to create form-fitting, breathable support. Size by hip size. I wear the 4 panel (12") daily for post transplant hernia control (high abdominal). This fits pretty good, it does move around, but allows breathability. Due to the location of my hernia, it is very difficult to find something that fits just right, holds in the right places, and doesn't restrict my lower belly (where my organs are transplanted to). Vitality Medical has the best price, and this brand was not easy to find.